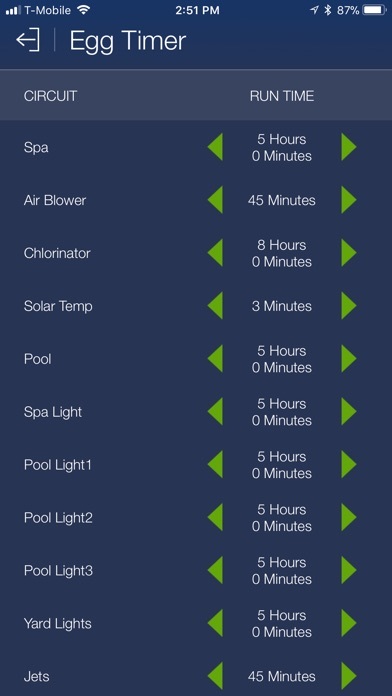 Pentair's ScreenLogic Connect is a convenient interface for your pool and spa, designed specifically for the iPhone, iPod touch, iPad and Apple Watch. 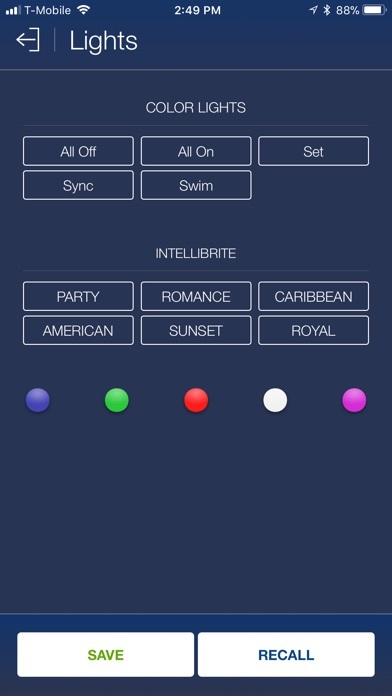 You can now also use our Alexa Skill to control your EasyTouch or IntelliTouch system. 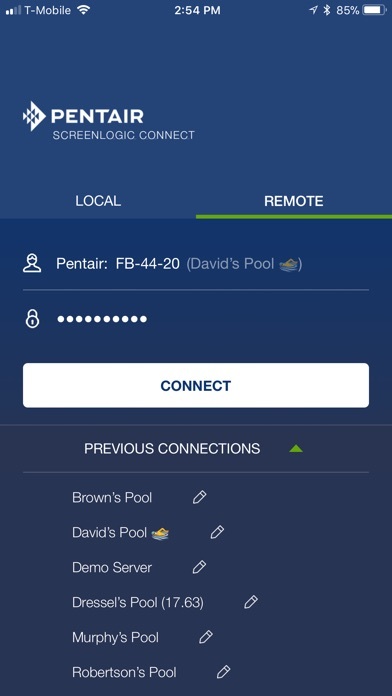 Control your pool and spa from a local Wi-Fi network, or control remotely over the Internet. 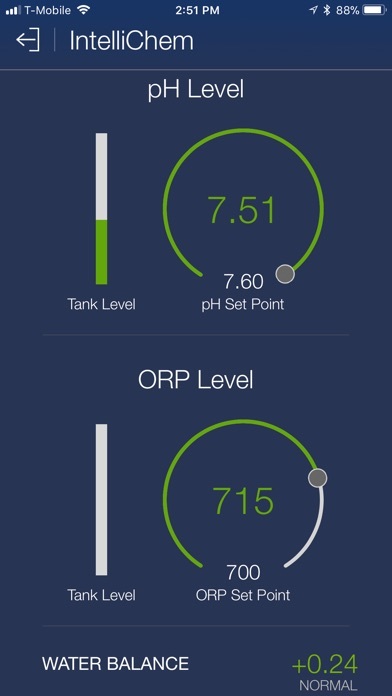 Download this free app and check out the new interface on our live demo! 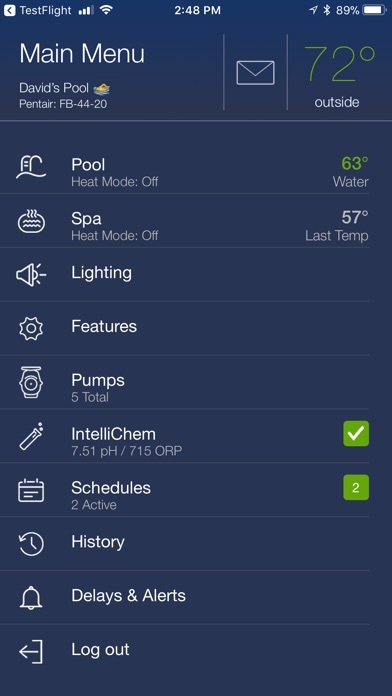 Pentair customers with IntelliTouch, EasyTouch, and EasyTouch PL4/PSL4 pool/spa control systems that want to use their iPhone/iPad/iPod touch or Echo devices must purchase the ScreenLogic interface kit (PN 522104) available from your local pool equipment retailer. Please make sure to download and apply the latest protocol adapter firmware (version 736). Please visit www.pentairpool.com and navigate to Support \ Tools \ Software to download the update utility. 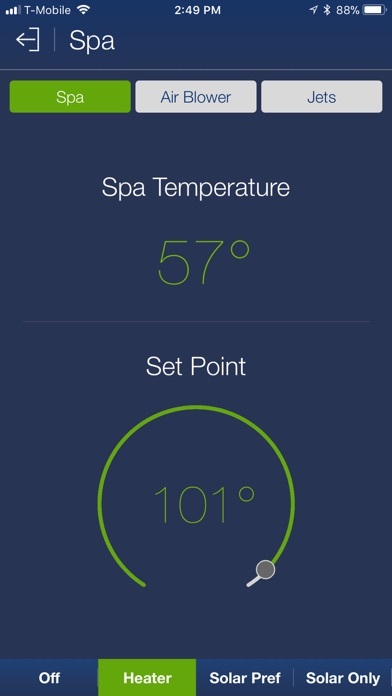 Overall, this is a great app and works well. Even great things can still be improved though, otherwise engineers would be out of a job. I would like to recommend that on the next update, an additional tab is added to the "History" section, labeled as "Pumps". In this historical graph, users could see pump "speed" and "wattage", for Pump 1, Pump 2, etc.. Even if the user has a single speed pump, the graph would still show it either running at max speed (3450 rpm) or zero rpm. 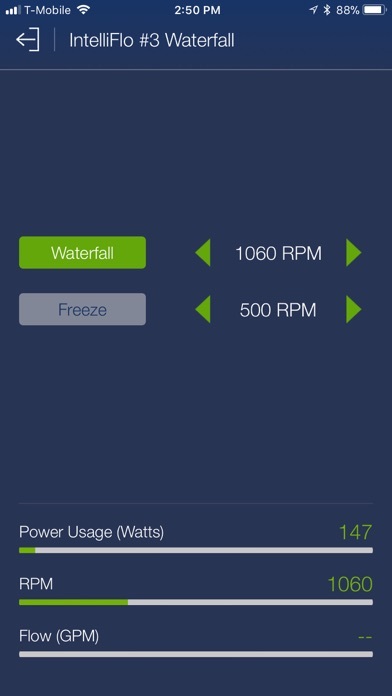 For those pumps, incapable of a wattage read out, the wattage graph would just remain at zero, or maybe blank, if user inputs single speed pump type in SLConfig. This is a waste of money. My system constantly goes down and cannot log on. I would rather have a fixed control panel in my house. Ive had nothing but problems, and Ive had the pool installer electrician, authorized pentagram reps, and a pentagram factory rep come out to fix it and get it working. They were all very nice and professional, but trouble is it went down again and I’m tired of having no access to my pool equip, spa, and lights on my phone or iPad. Don’t bother with this system, you will just be frustrated. The app recently just stopped working. It won’t connect and it freezes up. Descent when it works. But it rarely works. The app is OK if your inside receiver is connected to the outside one, but for me that is rarely the case. I have the inside receiver on a wired connection and the outside one right by the WiFi router. Yet they only connect when the stars align. The WORST part about this app is that it does not inform you of this disconnect. Instead, it acts on the last known info and PRETENDS you are connected. Very frustrating. Our hot tub works ~15% of the time. We’ve had multiple calls, repair orders. It never ever works like it’s supposed to. I can count on one hand how many times it’s worked. It has been a major disappointment for my family and friends in numerous occasions. It’s now a running joke among everyone I’ve invited over. What is going on with this company?! If you trust reviews at all- trust this one. Look elsewhere for your pool heating needs. Look at all the other 1-star reviews. They are not lying. The 5-star reviews all look extremely suspect. BUYER BEWARE! I’m furious and honestly talking with my family about calling a lawyer. 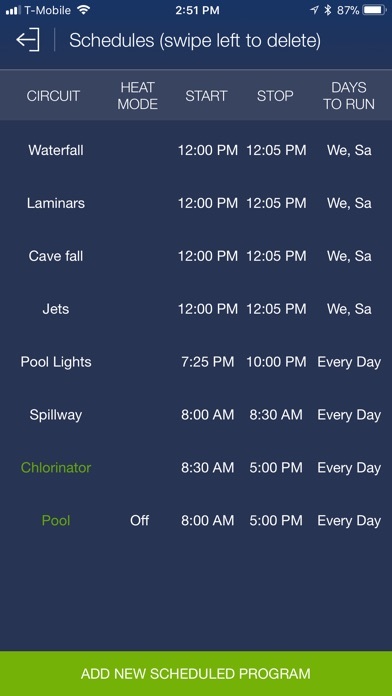 At first, this app was great and I could use all functions to control my new pool. 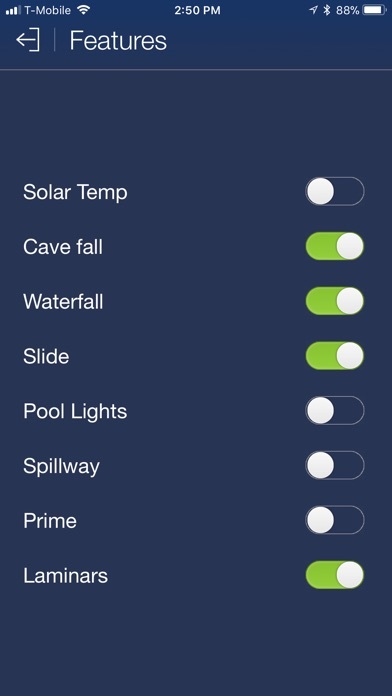 After about a month, the app stopped allowing me to turn on the multi-colored pool light. Now I have to manually use the control panel to scroll through the many light options. With the app, this process was much easier. Please fix this!